The Clinical In-patient Dietitian works closely with the multidisciplinary healthcare team to provide care that is integrated and compatible with the patient focus medial goals and objectives. Evidence based proactive protocols/nutrition practice guidelines used to determine nutrition interventions. The Clinical Out-patient dietitian provides nutrition services to individuals and groups in out patient setting for nutrition related problems, chronic disease management and prevention and wellness. The Home Health dietitian advises, evaluates, and delivers nutrition services to patients residing in their home who require complex therapeutic diets, nutrition supplements, enteral or parental nutrition support. The WIC nutritionist plans, directs, implements and evaluate nutrition services in the Special Supplemental Nutrition Program for Women’s Infants and Children (WIC Program); developing and implementing nutrition services and medical nutrition therapy for WIC clients, collaborating with state and community agencies. The Public Health nutritionist plans, manages, implements, and evaluates nutrition services within the community, maintaining a population based perspective. The Clinical dietitian provides food and nutrition services to patients; developing and implementing nutrition interventions, examining the quality and accuracy of food served to patients. 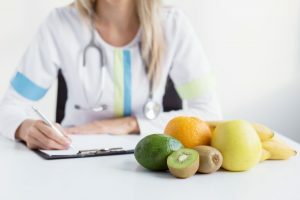 The Clinical dietitian for the Skilled Nursing facility provides nutrition services to guests living in long term or rehabilitation setting, working closely with the multidisciplinary health care team to provide care that is integrates and compatible with the guest focused medical goals and objectives. The Clinical dietitian with renal specialty works closely with the multidisciplinary health care team serving as resource for renal nutrition, providing patient care that is integrated and compatible with the patient focused medical goals and objectives. The Dietitian with food service specialty coordinates, directs and evaluates the activities of the Food and Nutrition services department, assuring food quality and safety.